Cuba Set to Launch Annual Festival of Latin American Culture. Several events will commemorate the 50th anniversary of the death of revolutionary leader Che Guevara. US Rapper Talib Kweli in Live Cuban Concert. US rapper Talib Kweli is preparing in Cuba the concert he will give at the Rumba Palace on Friday. According to the Cuban Rap Agency, local bands Mano Armada, Brebaje Man, Invaxión and Kilómetro 969, will share the scene with Brooklyn composer musician, New York, considered one of the most prominent of the Afro-American underground rap. Kweli’s career shows a curious balance between commercial success and frequent acclaim by critics. His lyric, exposed in a dozen albums, carries a strong political and social content. The US artist has collaborated with his compatriot Kanye West, and participated in the song Like That,of the group Black Eyed Peas,between several works, even gave voice to the protagonist of the video game Getting Up. Cuba Hosts Its First Portuguese-Language Film Festival. The event is a point of recognition and dialogue with the Cuban people through cinematic proposals. 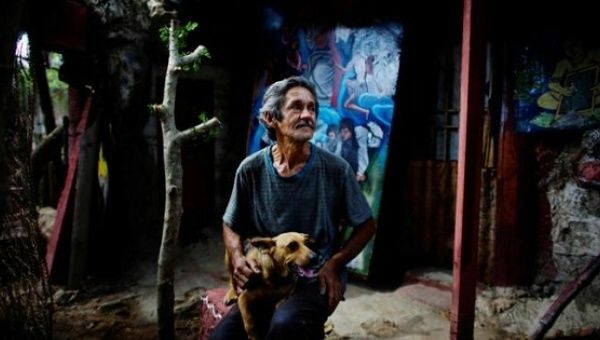 Cuban ‘Van Gogh’ Transforms Home into Art Museum. Lack of money has not kept Remigio Hernandez from making striking art. Without formal training or access to supplies, the Cuban artist has still managed to turn his modest home into a museum featuring sculptures made from scraps of aluminum, busts molded from mud and portraits daubed onto discarded televisions. “Museum of Baby,” in the sleepy town of Moron in central Cuba, is named after Hernandez’s late wife Barbara, or “Baby.” In one life-size sculpture, she gallops off on a white steed into paradise. In a painting, she is the Mona Lisa. Frowning, the 64-year old says he is happy to remain penniless in a world where greed and ambition have caused so many wars and tragedies. Family and religion are his subject matter. Acosta Danza Company to present World Premieres in Cuba. HAVANA.- (ACN) Acosta Danza Company will present from today, until next day five, a season of world premieres that will includes works by Spanish and Cuban choreographers. ¨Avium, ¨by Ely Regina, ¨Nosotros, ¨by Beatriz García and Raúl Reinoso, and ¨Twelve, ¨by Spanish Jorge Crecis, will be shown to the public at García Lorca Room of Alicia Alonso Havana´s Grand Theatre, Prensa Latina reports. 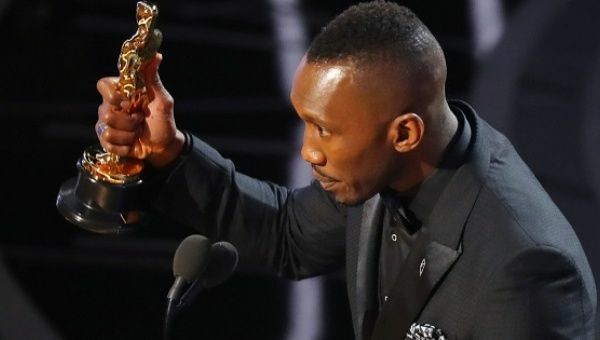 Mahershala Ali Becomes First Muslim Actor to Take Home an Oscar. The Black actor converted to Islam in 2001 and has recently spoken of the discrimination he faced over his decision. Mahershala Ali won the best supporting actor Oscar Sunday for his role as a drug-dealing mentor to an impoverished Black gay boy in the intimate independent drama “Moonlight,” becoming the first-ever Muslim to take home the award.